If you were to ask me, "What do you like to do?" I would answer, "Quilt." I love the creative process. I love to see an idea come to life. I love to make something with my hands. I even say my favorite Bible verse is Proverbs 31:22a. "She makes her own quilts." At the beginning of 2015, I made a goal to make "15 quilts in 2015." This post details the results of that effort. 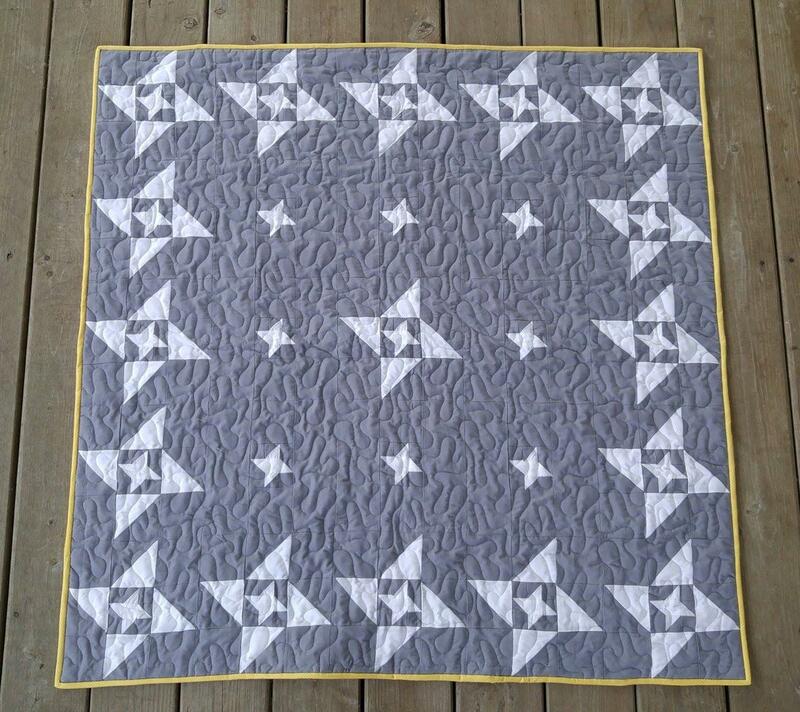 The first quilt finish of 2015 (my 15th quilt since I started quilting). 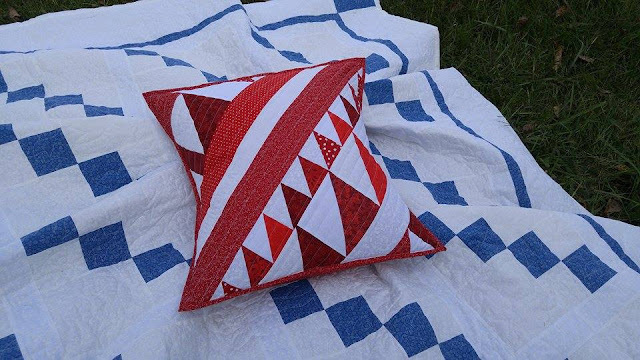 This was made while testing a pattern for Beth - a pattern designer. She decided to use my quilt on the cover of her pattern, so I had to finish it the week after I had Micah in order to meet the deadline. This flannel quilt was commissioned from a woman locally that wanted a quilt to match her grandson's nursery. These three memory quilts were made for three siblings from their mother's clothes and sewing fabrics. All three have the exact same fabrics in them! 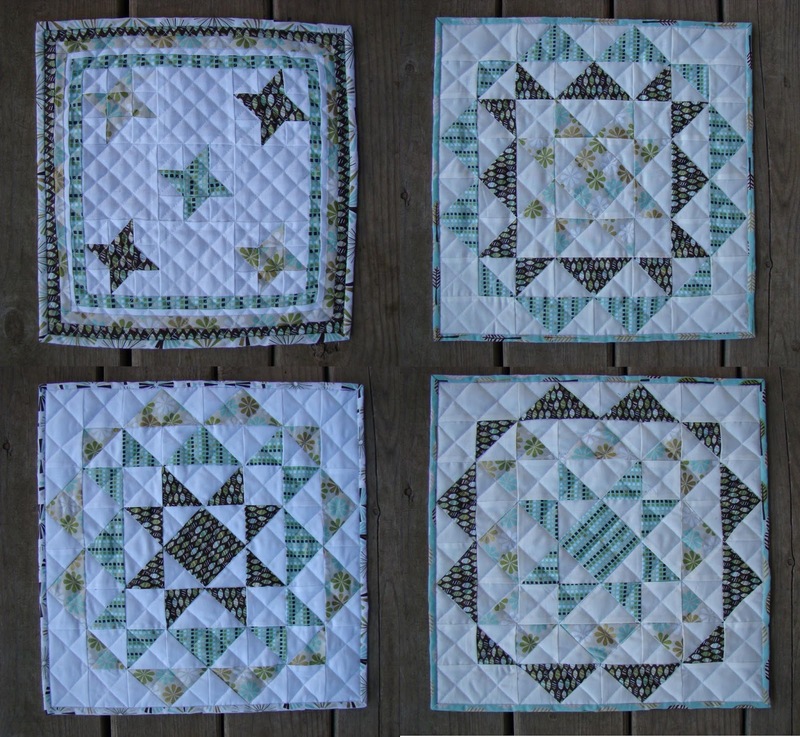 Middle quilt is from this pattern. I designed the other two. Number six. I decided that I really enjoyed pattern testing. 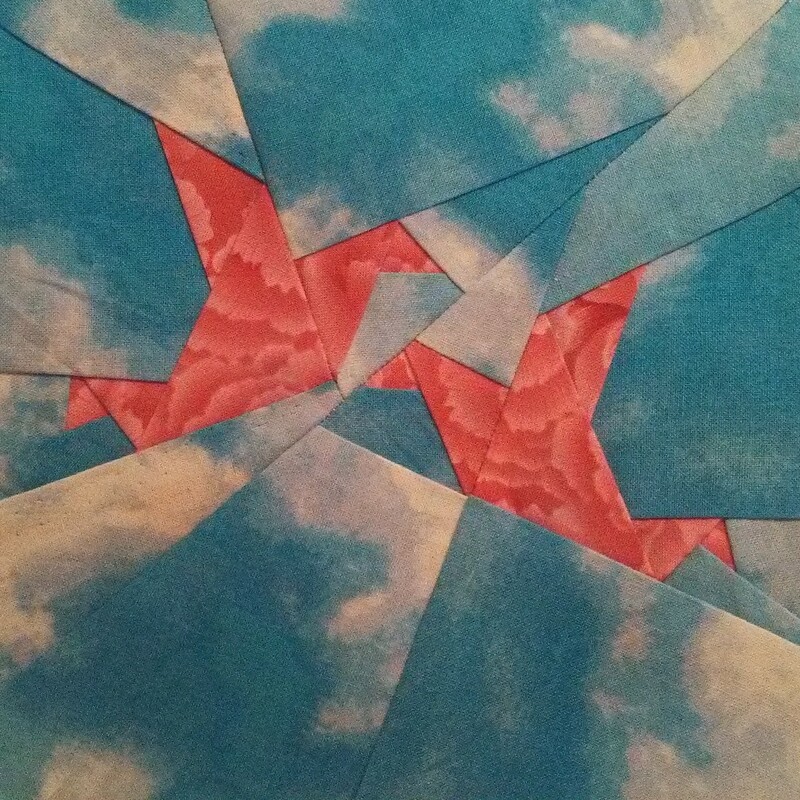 It fed my quilting side and my teacher side. So I began to seek out pattern designers. I "met" Nadra through Instagram. She lives in Germany. Pattern available here. 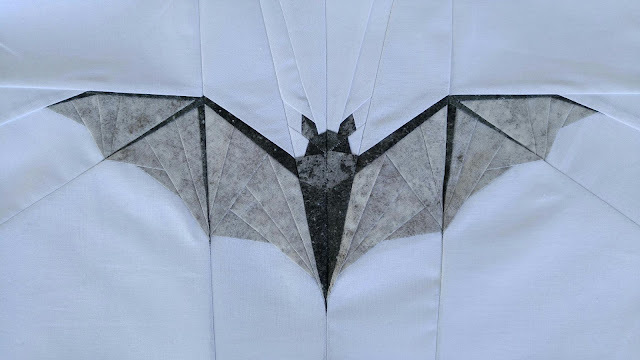 This quilt idea popped up on Facebook. I knew it would be perfect for my librarian friend. 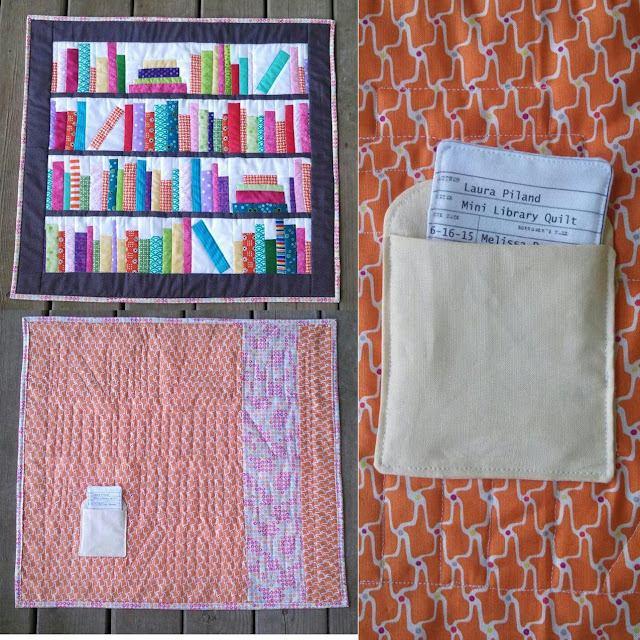 I designed the quilt and library card label. 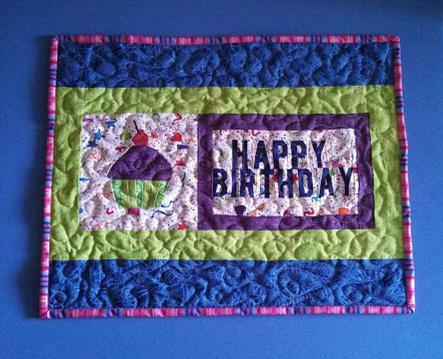 I made this birthday placemat after testing the cupcake pattern. Cupcake pattern here. Letters pattern here. Quilt number nine for the year. Made as a baby quilt for a friend to match her nursery colors. This is my own design. 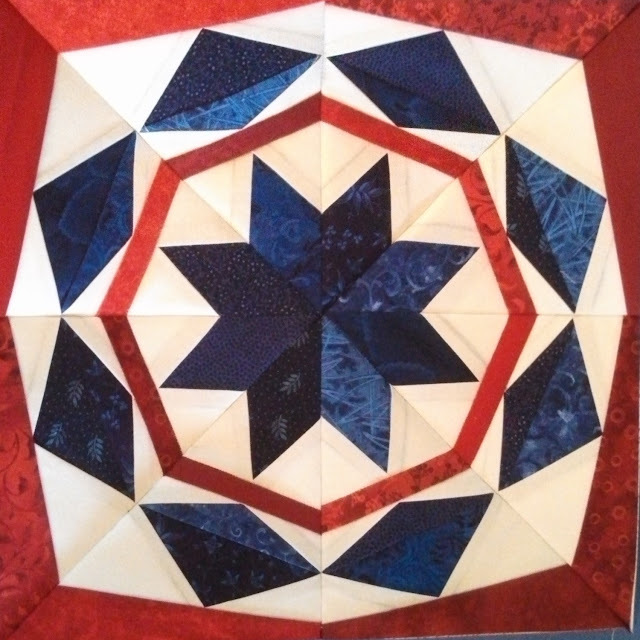 This Missouri Star pattern measures just 3 1/2" x 3 1/2"! 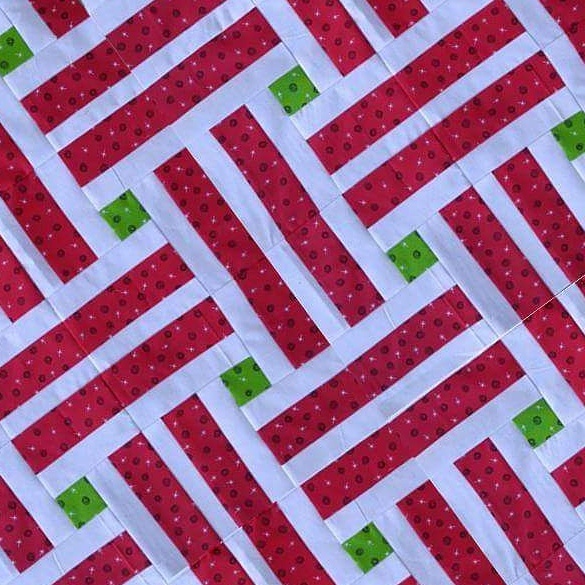 I made it to send to an instagram "friend" as a "mini mini quilt." Quilt number 11 was made for an instagram "friend." It is my own design, based on a photograph I took this fall of the road we live on. Quilt numbers 12 through 15 were made as Pay It Forward gifts. 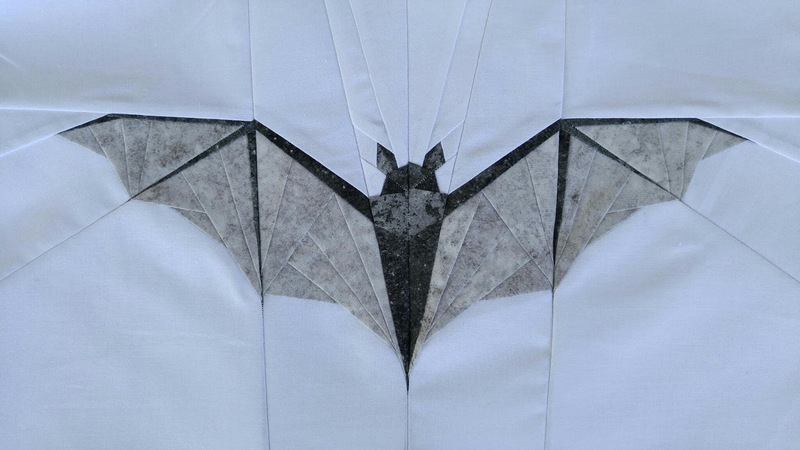 The butterfly was made as a pattern test for Aylin, a pattern designer in Berlin. I finished it as a mini quilt for a friend's Pay It Forward gift based on the Bible verse 2 Corinthians 5:17. "Therefore, if any one is in Christ, he is a new creation; the old has passed away, behold, the new has come." Pattern here. 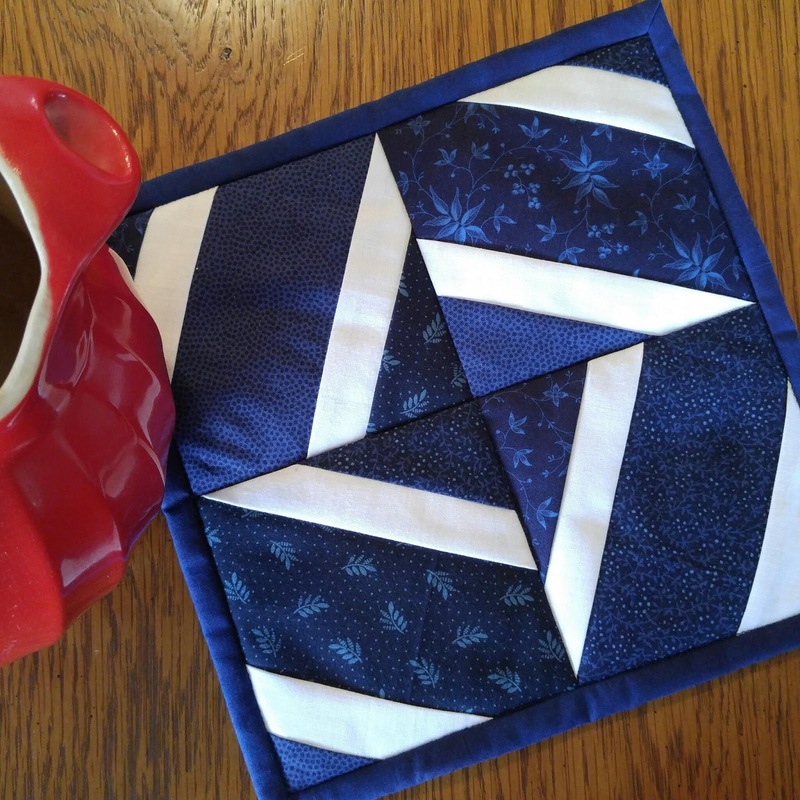 Quilts 17 and 18 were started a few years ago on a ski weekend - when I stayed in the cabin and sewed instead of going skiing! The tutorial for the pattern is here. 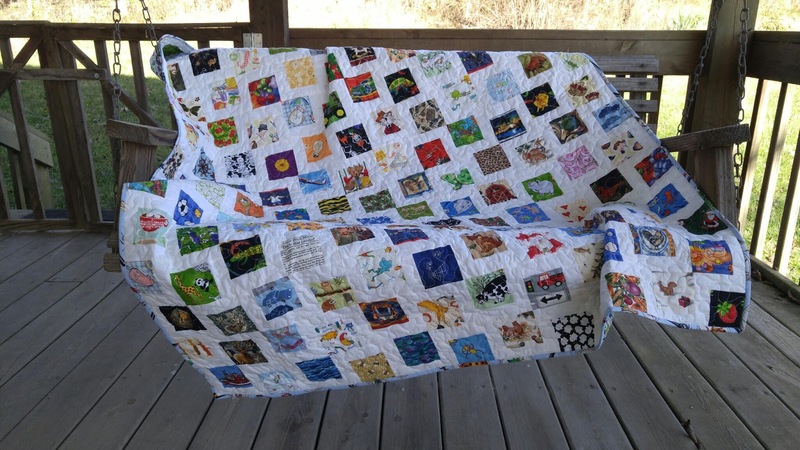 The quilt top for this ladybug quilt was bought from a garage sale. It was just begging to be finished! 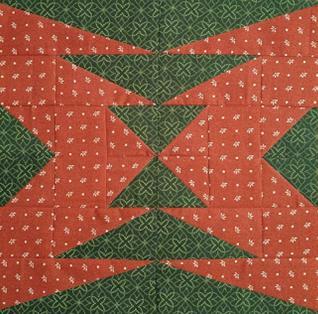 The squares on this quilt have "raw edges," meaning they will fray slightly with each washing. I made this one for us to keep! Tutorial here. An I Spy quilt I made for Jeremiah. I collected the fabrics (well over 100 different ones!) from many quilt shops, friends, and family. When I look at the quilt, I see all the "behind the scenes" memories of where the fabrics all came from. Pattern is a disappearing nine patch that I modified slightly. The deer quilt I made for an instagram "friend" was number 22 for the year. It is actually two quilt tops (one brown and one cream) that are quilted together and then the deer silhouette is cut out from just the top layer of fabric. This was my own design. Quilt finish number 23 was a fabric panel that I quilted to make a baby quilt for a friend. These two baby quilts are made from flannel scraps that I got at a garage sale. They've been in my UFO (unfinished object) pile for quite some time. Another baby quilt from the flannel scraps. Finish number 26. 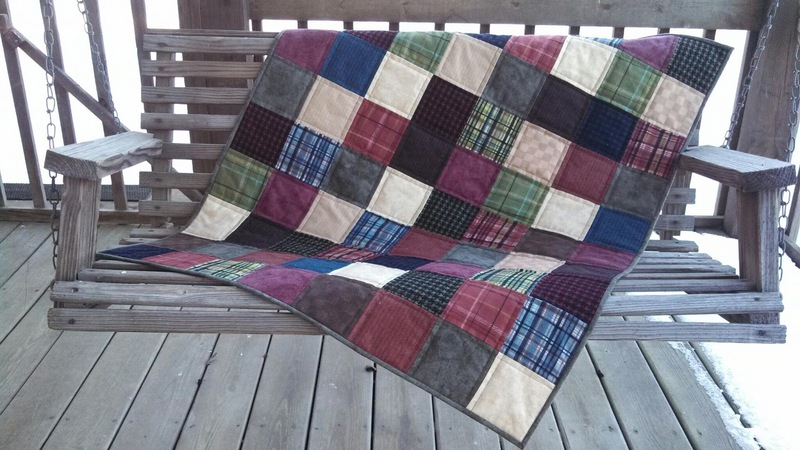 My last quilt of 2015 - finished December 31st. This quilt was completed as a pattern test. 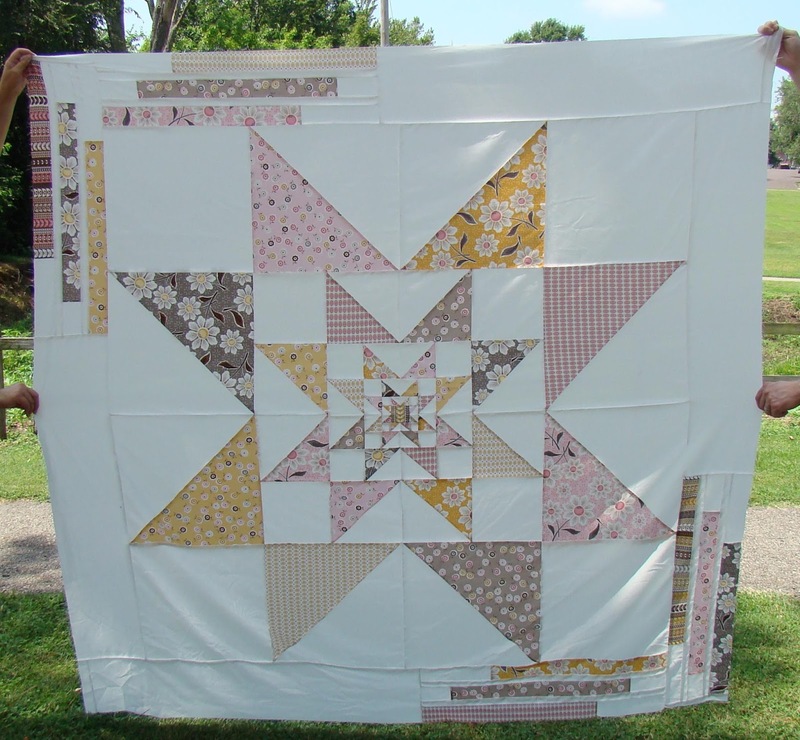 I call it my "When Skies Are Gray" quilt, as I made it during a time when a friend was suffering from deep depression and I prayed earnestly for her and sang "You Are My Sunshine" every time I sat down to sew. The yellow binding is symbolic in both representing sunshine after the storm and my friend's favorite color. My first quilt that I quilted myself on a longarm! Pattern available here. This was my 27th quilt for the year and my 41st quilt overall! 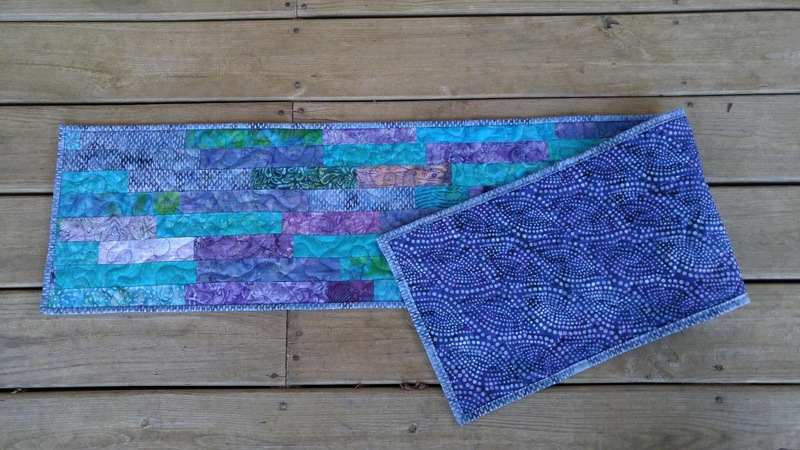 So my "15 quilts in 2015" led to 27 quilt finishes! But quilts are not the only projects I completed throughout the year. Here are some other non-quilt things I made. A quilted pillow as a pattern test. This led to being paid to do some pattern editing and minor graphic design work for the pattern designer to get her pattern more professional looking and ready for publishing. 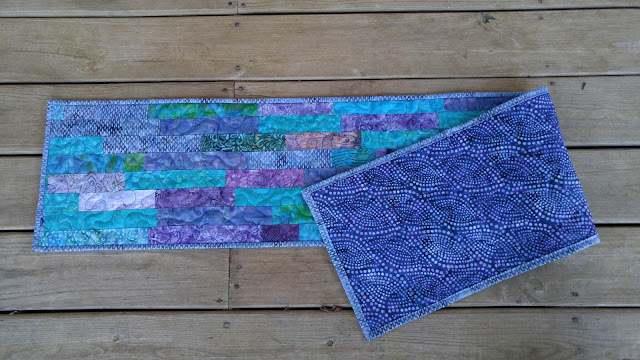 A quilted table runner for a friend's Christmas present. Another table runner made from fabric scraps. A quilted pot holder I made as a design challenge. I won a charm pack of fabric for the design! It has two layers of special batting to make it heat resistant. The dinosaur skirt. The dinosaur started as a pattern test (Tyra the T-Rex pattern available here). 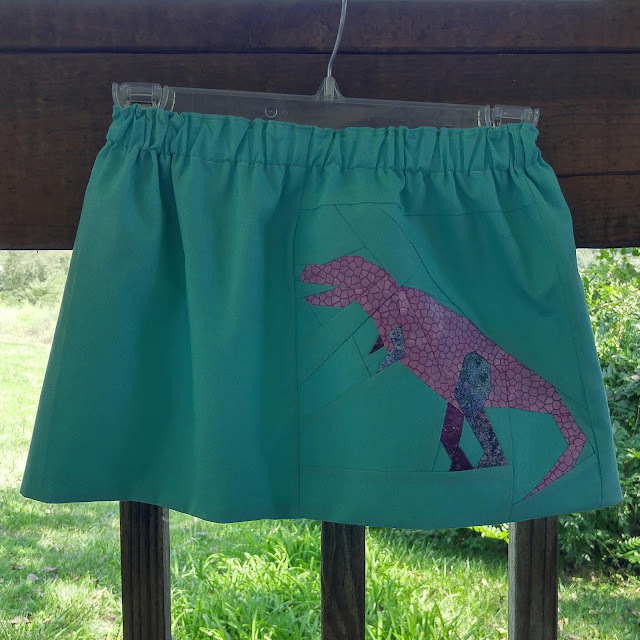 I made it into a toddler skirt for a friend's daughter (top picture). However, the USPS "lost" it in transit. Even with the tracking number showing where it was, they could not seem to locate it. They claimed they could not just call that facility and have them look for it. Ugh. So, I had to make another one (bottom picture). 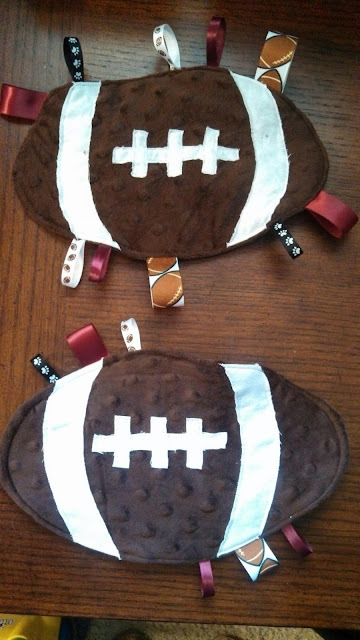 Football taggies made for baby shower gifts. They have "crinkle" inside too. 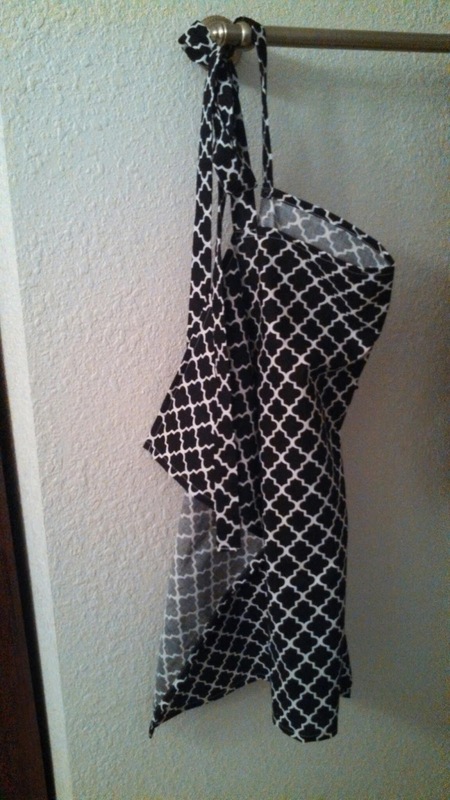 I've lost count how many nursing covers I've made for shower gifts and moms-to-be. Maybe a half dozen or so this year. I don't take pictures of them. 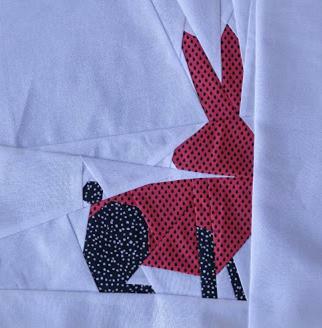 Nine pillowcases for gifts. I use the burrito method from this tutorial. 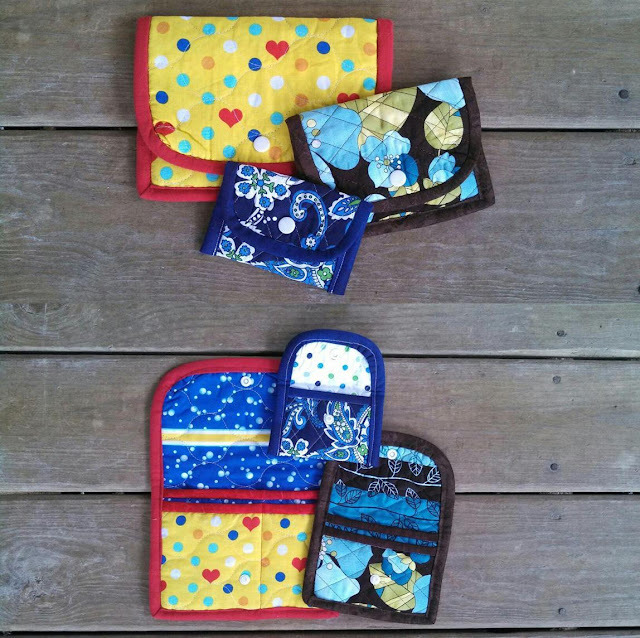 These pouches were made as a pattern test. Pattern available here. 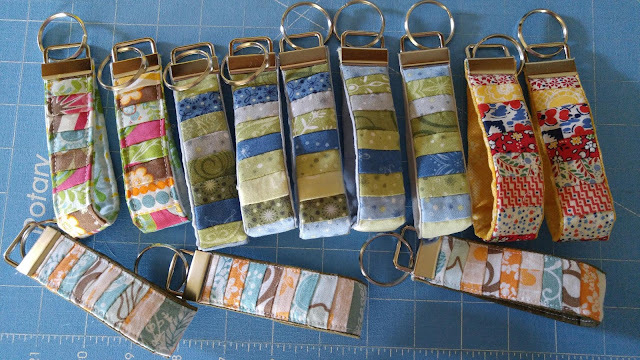 These keychains were made as a pattern test. They became Pay It Forward gifts for friends. (Top picture shows front, bottom picture shows the back.) Pattern available here. More keychains that I've made as gifts. These use up even the tiniest fabric scraps! An alphabet quiet book I made for the boys. 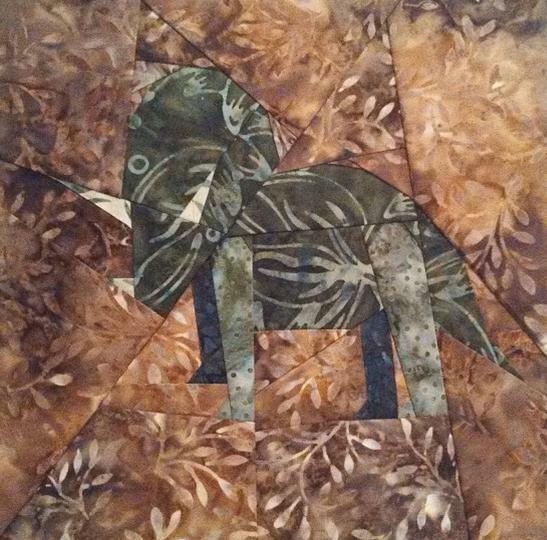 It is made from a fabric panel that I've had for quite some time. A clothing quiet book. 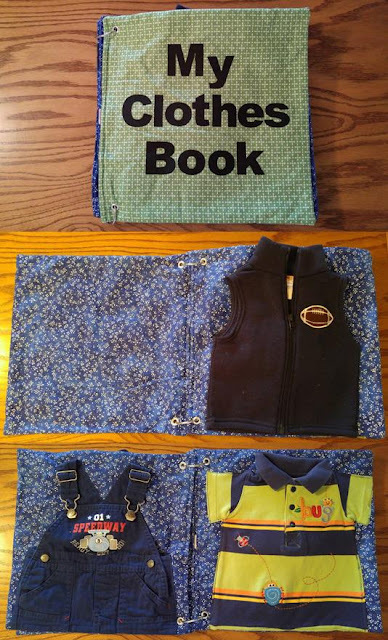 Each page has a different item of clothing with a different skill (zipper, button, snap, etc). The title letters are ironed on. A color quiet book. 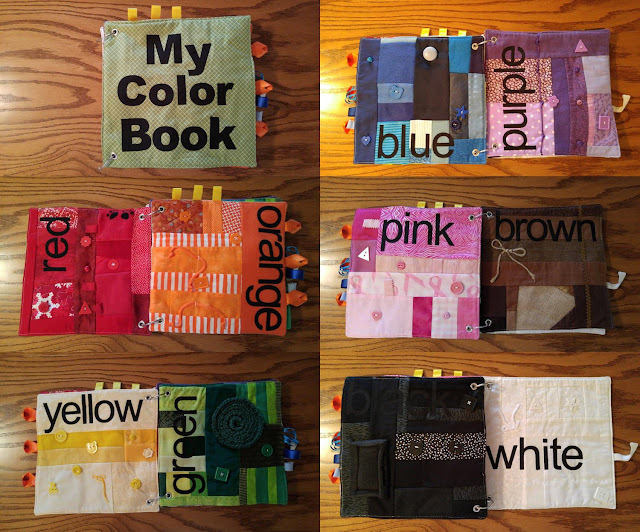 I used fabric scraps to sew each page. Some pages have ribbon sewed on as well. 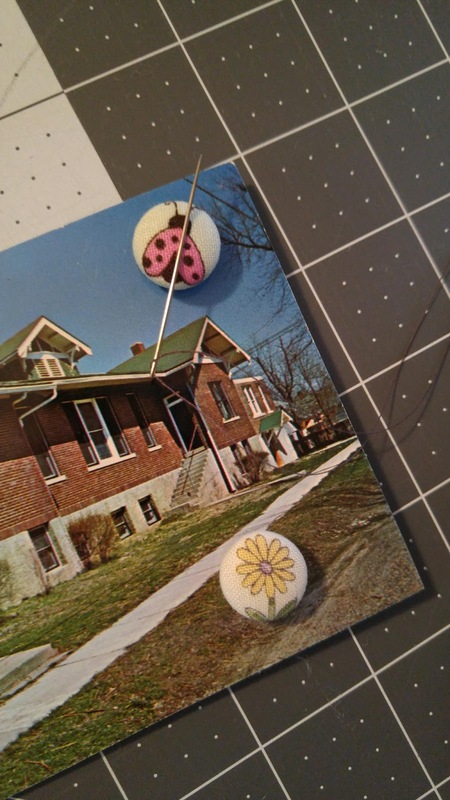 I ironed on the words and sewed buttons to several pages. These are called "needle minders." 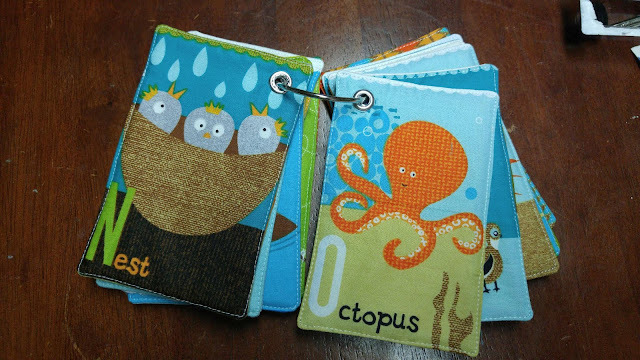 They are magnetic and meant to be used to hold your needle on a hand-sewing or cross-stitch project. I've made several to send as gifts, but of course, forgot to take pictures of them all. 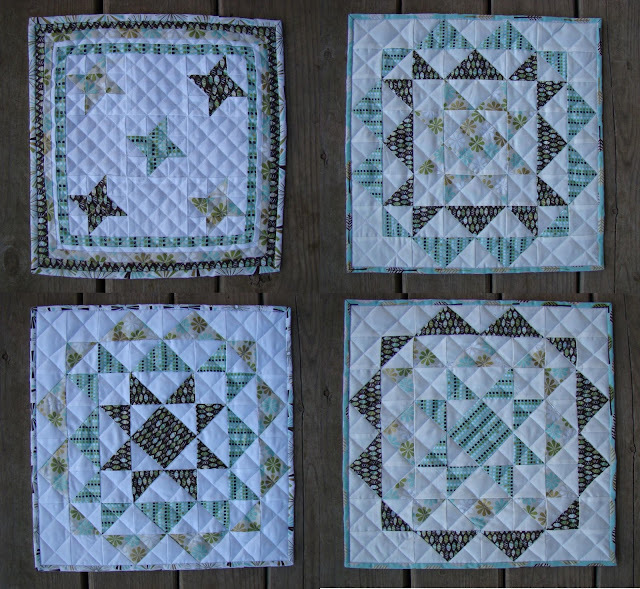 The following pictures are all quilt blocks that I made as pattern tests, but have not made them into anything yet. Trish the triceratops pattern here. This was a block I made (not my design) for a contest. It was to practice making "half rectangle triangles." I did not win. This is my own design. I used the computer to repeat the block to show what it will look like when more blocks are completed. 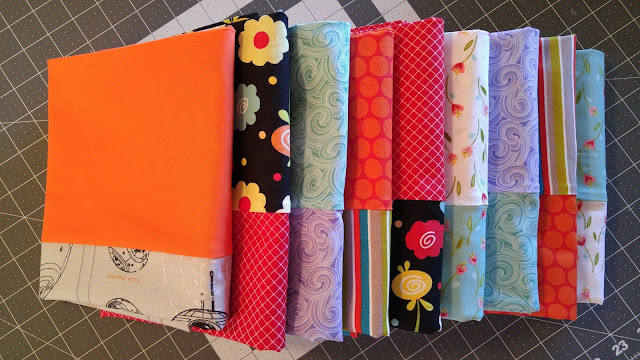 So the 2015 summary: 27 quilt finishes, 2 table runners, a pillow, a hot pad, 1 quilt top, 2 toddler skirts, nursing covers, football taggies, 9 pillowcases, snap pouches, keychains, 3 quiet books, needle minders, and 7 quilt blocks. Did I mention that I like to quilt?